Do you own a fitness tracker? These wearables have become all the rage lately and are more than just a fad. If you don&apos;t yet have one, you may be surprised how motivated you become when you see you have climbed fewer stairs than yesterday or managed more steps than a friend you&apos;re competing with. 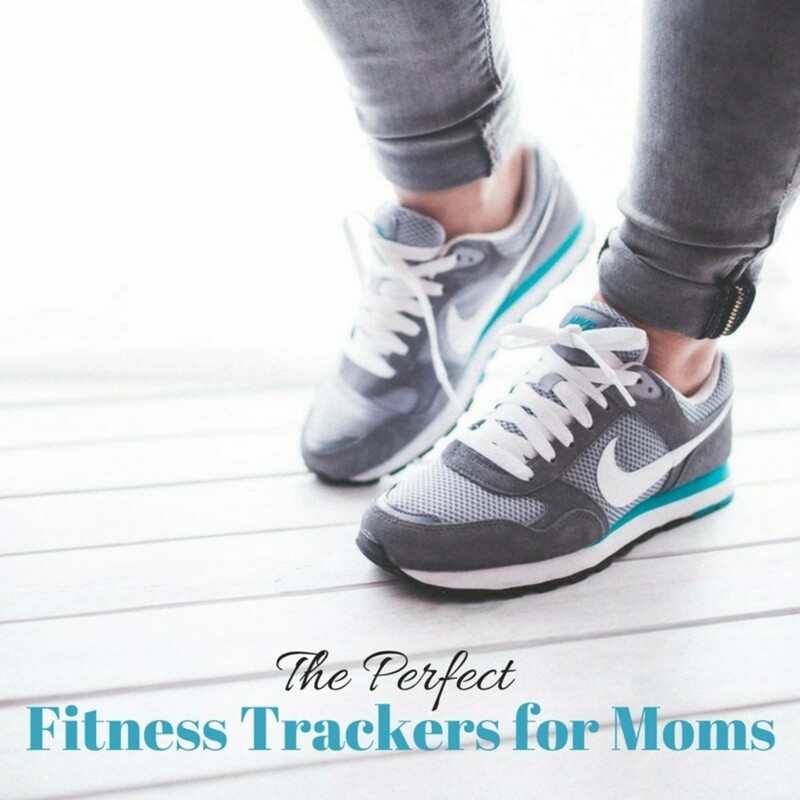 Today, we&apos;re sharing three fitness trackers for three different kinds of moms. Find your perfect fit and watch your fitness accomplishments grow! Summer is here and mentally I often think that this will allow me more time to workout. Instead, the lack of school schedule and the addition of family vacations often means that I&apos;m less likely to fit in fitness during the week. Sound familiar? 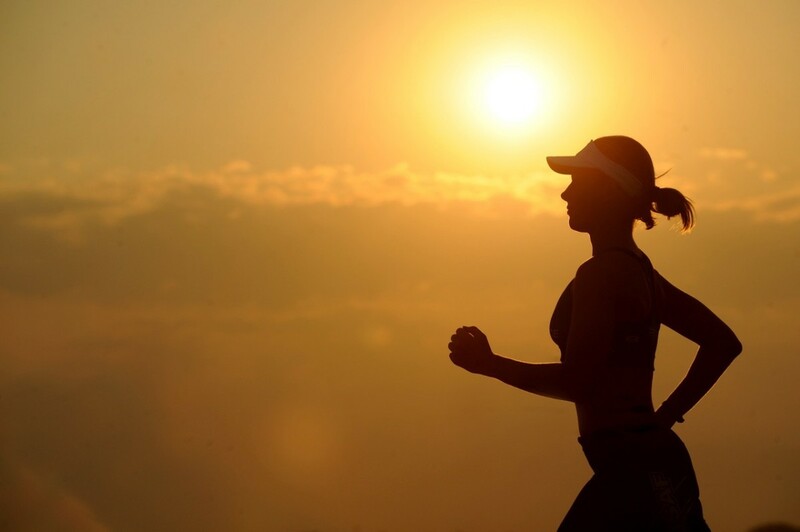 Finding the right fitness tracker isn&apos;t always easy - you need to find one with the features you like and a style that matches with your own. Whether you are a sporty mom, a minimalist mom, or a mom that thinks the more bling the better, we&apos;ve got a fitness tracker for you. 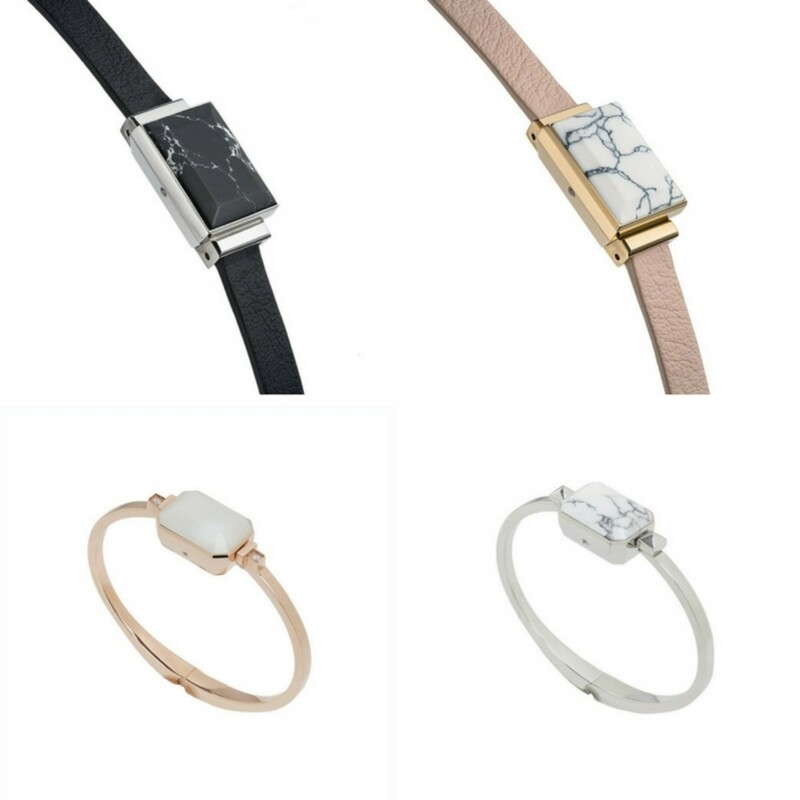 Ringly&apos;s tagline is "Smart jewelry that keeps you active, mindful, and in the moment." Their simple and low-profile fitness trackers don&apos;t have a screen, but pair with an app and it can blend in easily with either day-at-the-office or park-play-date attire. I tried out Ringly&apos;s GoSmart Bracelet that offers Activity Tracking + Mobile Alerts + Guided Meditation in a compact and stylish bracelet. It looks like any other bracelet you might wear, but this one is tracking my number of steps, miles covered, and calories burned as well as providing smart phone alerts through light and vibration that I can customize to know when the people I care about most are trying to get in touch. I love that both the band and tracker are thin and small yet stylish and still provide the basic fitness information I need to keep me motivated. 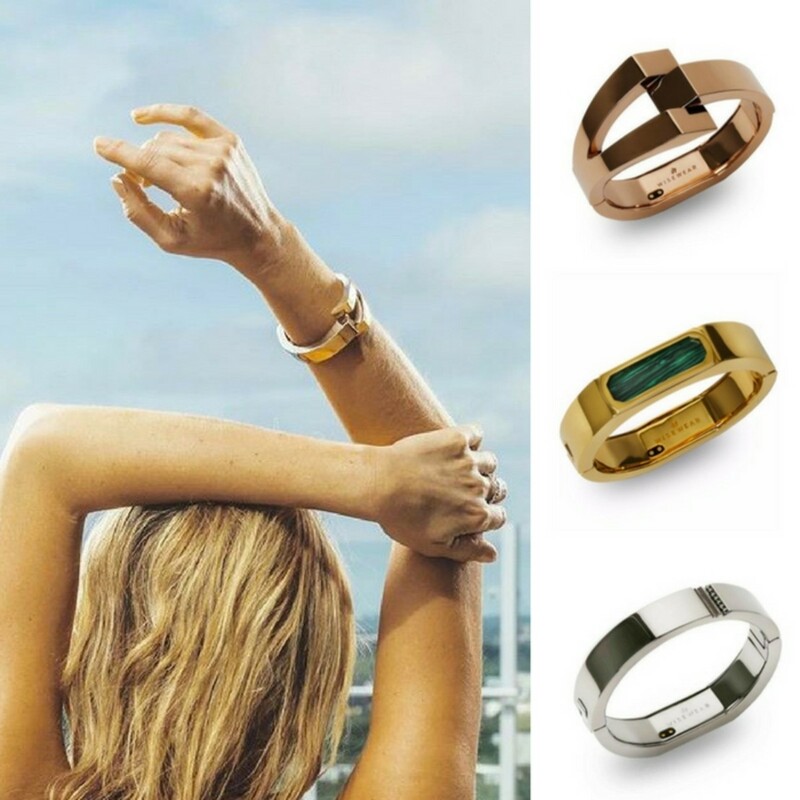 Ringly also offers their Luxe Bracelets (bottom row) which offer a bit more style and their Smart Rings if you prefer not to have something on your wrist. I know there are benefits of slowing down, but motherhood often has me playing the role of a multitasking master. I&apos;m schlepping kids to sports practice while trying to fit in a workout while taking a work call on my headphones during said workout while still needing to make sure I&apos;m home in 25 minutes to take the chicken out of the oven. Sound familiar? 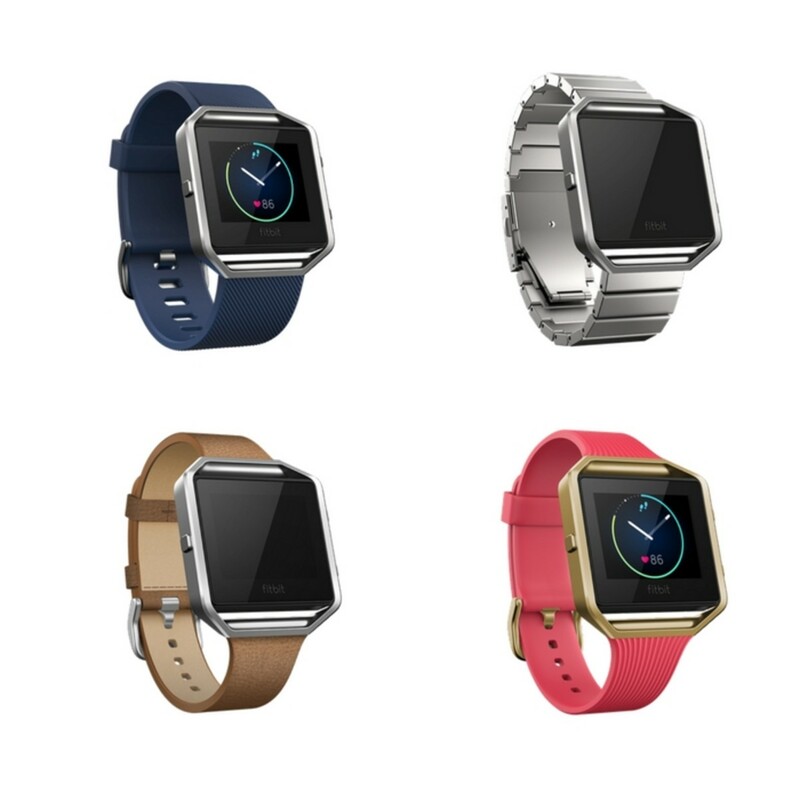 In situations like this, you need the Fitbit Blaze which is part watch, part fitness tracker, part smart phone. While the original Blaze comes with a sporty black band, I opted for the thin-version leather band to make it a little less obtrusive and suitable for work. While it&apos;s still much bigger than the Ringly, I love that with the Blaze I can answer a call or play my music through Bluetooth headphones, track my steps, stairs climbed or workouts completed PLUS get texts and the most basic of all, figure out what time it is - which I was constantly having to ask my kids for. The battery life is crazy long (4-5 days between charges) and it has a built-in guided mediation feature which yeah, I may have used too many times during these last few weeks of school before summer. Fitbits also allow you to challenge other Fitbit wearers in your family, friend circle or office if you like competition. If the Blaze seems too big for your style, you can also try out Fitbit&apos;s new Alta HR which offers all the same features in a more streamlined design. Wisewear fitness trackers are not for those who want to be discrete. True, while the tracker doesn&apos;t have a screen like the Fitbit, the jewelry that houses it takes a certain kind of woman who doesn&apos;t mind wearing attention-getting jewelry. I tried out the Calder bracelet in rose gold which was gorgeous and also way above my style ability.  Wisewear also offers the Duchess which has a slight splash of color and the more subdued Kingston in gold, palladium and rose gold. These trackers are high on style, but also high on function. The Wisewear trackers will keep track of your step count, distance, and calories burned, will give a gentle vibration to notify you to check your phone for important calls, texts, emails, calendar events and even has a built-in panic button that will alert pre-set emergency contacts with a text message and GPS drop pin location with three taps of the bracelet. All in a seriously stylish tracker that no one will believe is tracking your daily miles. So what&apos;s YOUR perfect fitness tracker?